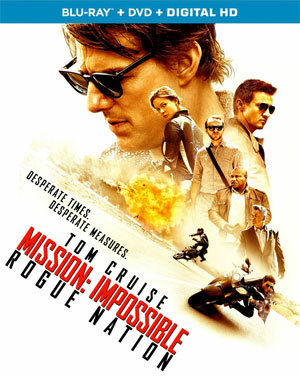 Paramount Home Entertainment has just announced the upcoming release of Mission: Impossible: Rogue Nation, the latest movie in the franchise, scheduling a Blu-Ray Disc and DVD version for December. With his elite organization shut down by the CIA, agent Ethan Hunt (Tom Cruise) and his team (Jeremy Renner, Simon Pegg, Ving Rhames) race against time to stop the rise of a new global threat, The Syndicate, a dangerous network of rogue operatives turned traitors. 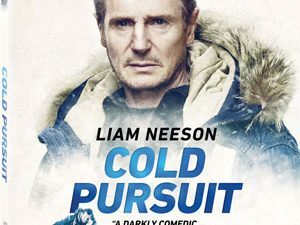 To stop them, Ethan must join forces with an elusive, disavowed agent (Rebecca Ferguson) who may or may not be on his side as he faces his most impossible mission yet. The DVD version will feature only the film itself without any bonus features. The Blu-Ray version will feature a 1080p high definition version of the movie, accompanied by a Commentary Track with Tom Cruise and director/screenwriter Christopher McQuarrie. Also included are the Featurettes ”Lighting the Fuse,” “Cruise Control,” “Heroes,” “Cruising Altitude,” “Mission: Immersible,” “Sand Theft Auto” and ”The Missions Continue”. In addition, Paramount Home Entertainment will also release the Mission: Impossible Blu-Ray Collection, featuring all five movies in the franchise as a box set.